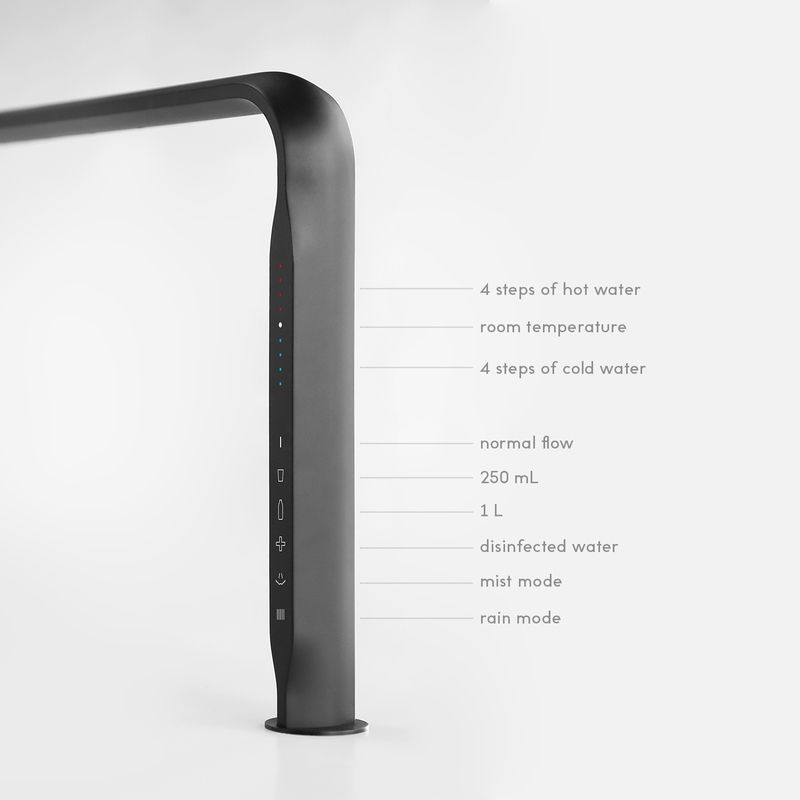 Alessandro Stabile revolutionises the concept of kitchen faucets by creating something completely new: a “Water Machine”. 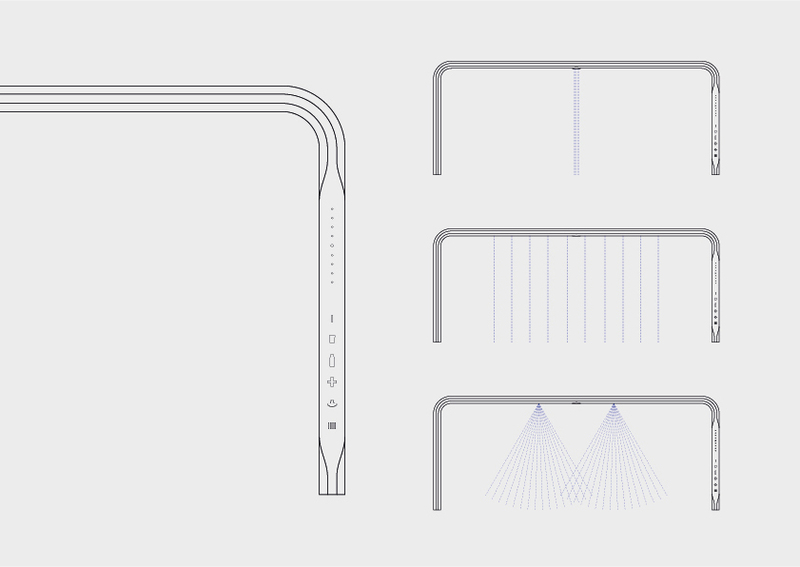 Its design looks to the future not only in form — a wide and thin arch — but also in efficiency. Through an electronic control featuring reduced water consumption, the user is able to choose between a single jet, multiple jets or a nebuliser. A metal band like a bridge between the two sides of the sink, to offer users different forms of water, depending on real usage parameters: vaporised, regular single column, multiple columns. The on-off and temperature controls are placed in the upright portion of the band. The addable shelf that can be placed above the structure completes this new domestic landscape, providing useful surfaces. New functions in a new image. Water, with its advanced use, is the component that revolves around the bold research project developed by Alessi and Hansa, conducted under the artistic direction of Giulio Iacchetti. 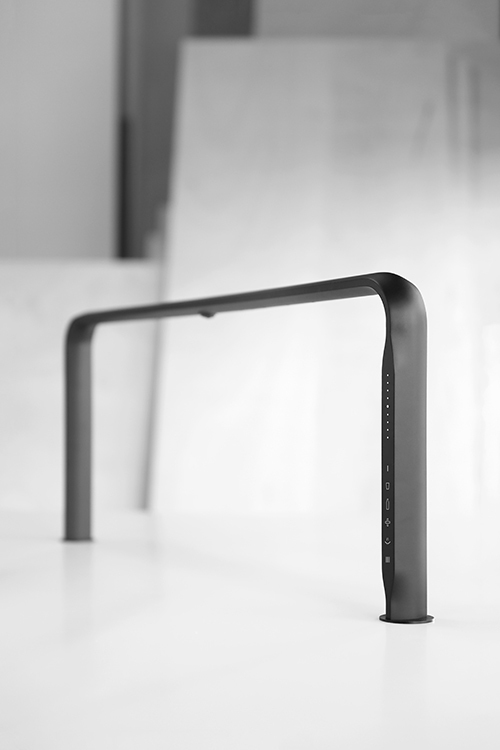 For the ISH 2019 fair in Frankfurt, the results of this study were presented, the second collaboration between the two companies: five concepts of avant-garde faucets for the kitchen of the next decade.